Design and development of On-board Paylod Data Processing (OPDP) system for on-board data processing and acquisition planning. Matching the users application requirements with the more and more huge data streaming of the satellite missions is becoming very complex. But we need both of them! To face both the data management (memory availability) and their transmission (band availability) many recent R&D activities are studying the right way to move the data processing from the ground segment to the space segment by the development of the so-called On-board Paylod Data Processing (OPDP). The space designer are trying to find new strategies to increase the on board computation capacity and its viability to overcome such limitations, memory and band, focusing the transmission of remote sensing information (not only data) towards their final use. 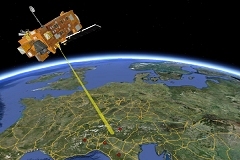 Some typical applications which can benefit of the on board payload data processing include the automatic control of a satellites constellation which can modify its scheduled acquisitions directly on-board and according to the information extracted from the just acquired data, increasing, for example, the capability of monitoring a specific objective (such as oil spills, illegal traffic) with a greater versatility than a traditional ground segment workflow. Personel from Planetek Hellas was involved and gained related know-how in this activity where, Planetek Italia was the prime contractor (together with Sitael S.p.A. anc Geo-K s.r.l. as sub contractors). Space Payload Data Processing (SpacePDP) was a co-funded project with the Italian Space Agency, whose main objective was to develop a hardware and a software framework able to perform both the space mission stardard tasks (sensors control, mass storage devices management, uplink and downlink) and the specific tasks required by each mission. As a result, SpacePDP is now an Open and modular Payload Data Processing system, composed of Hardware and Software modules included a SDK. The whole system is characterised by flexible and customisable building blocks that form the system architectures and by a very easy way to be integrated in the missions by the SDK (a development environment with encapsulated low-level drivers, HW support and testing environment). Furthermore Space PDP presents an advanced processing system to be fully adopted both as on-board module for EO spacecrafts and extra-planetary exploration rovers. HW abstraction level comparable to present multi-tasking Unix-like systems allowing SW and algorithms re-use (also from available G\S applications). 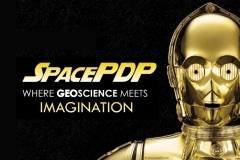 The development approach addressed by SpacePDP is based both on the re-use and resources sharing with flexible elements adjustable to different missions and to different tasks within the same mission (e.g. shared between AOCS and data management S/S) and on a strong specialisation in the system elements that are designed to satisfy specific mission needs and specific techological innovations. Compactness: size and weight of each module are fitted in a Eurocard 3U (100x160 mm2) format. Modularity: the Payload is usually composed by several sub-systems. Completeness: the two core boards (CPU and Companion) are enough to obtain a first complete payload data processing system in a basic configuration. Integrability: The payload data processing system is open to accept custom modules to be connected on its open peripheral bus.